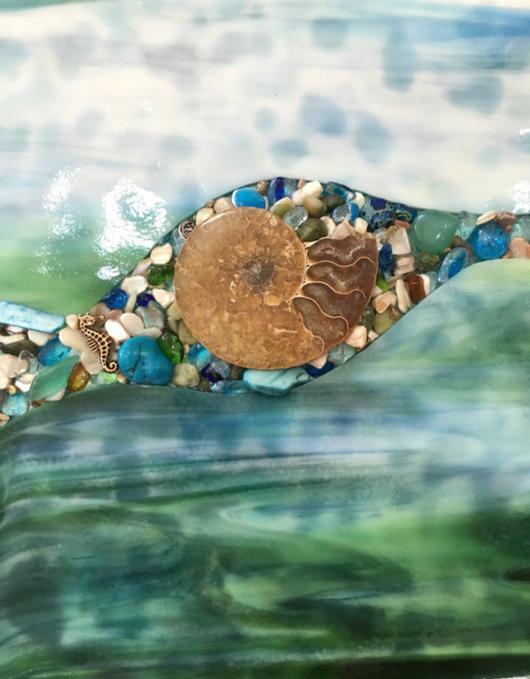 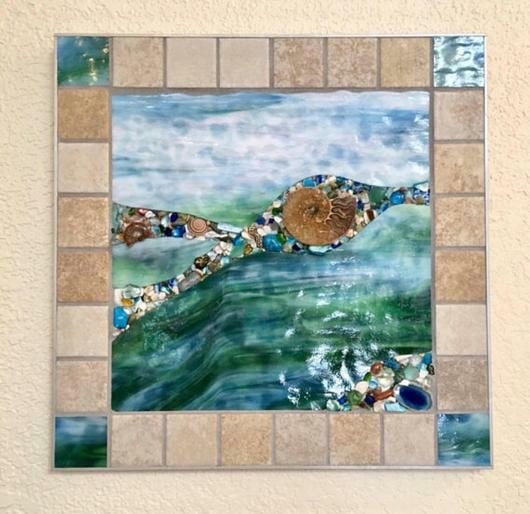 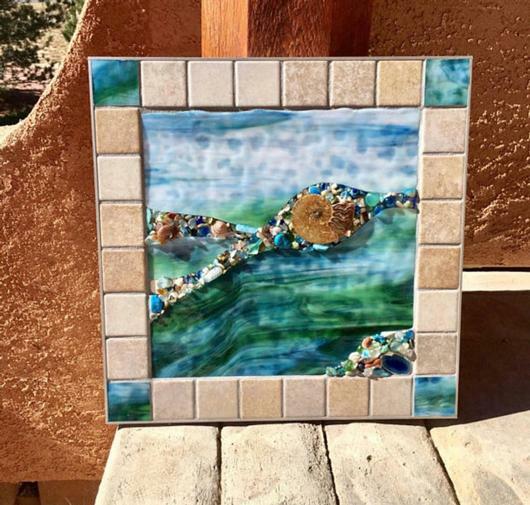 This handcrafted mosaic is created from hand cut Youghiogheny opalescent mottled art glass, which is a beautifully textured stained glass, polished ammonites, a sliced agate, turquoise, beach glass, jewelry, seashells, peacock ore and polished minerals, glass nuggets, green gravel and more. 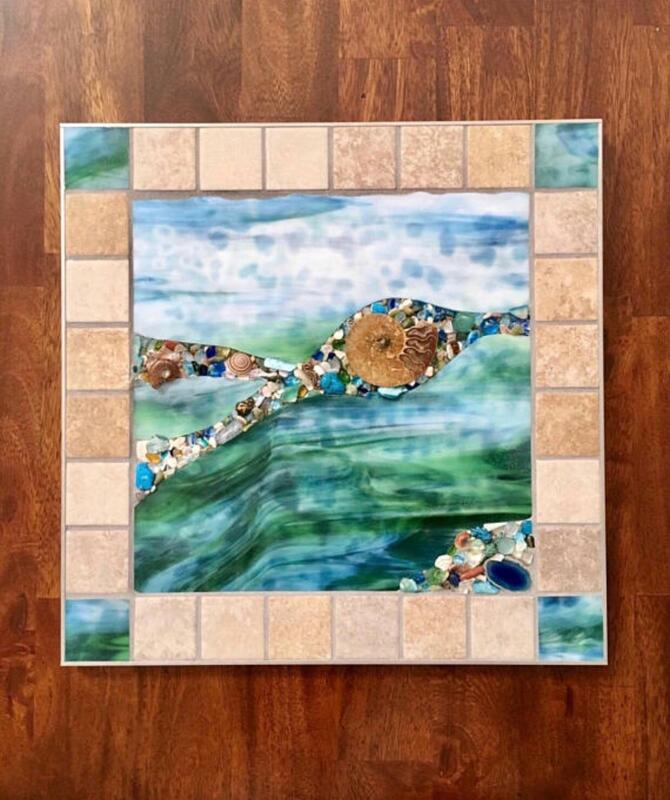 It is bordered with tile, and everything is adhered to sturdy mdf, then grouted, and set inside a custom built painted aluminum frame. 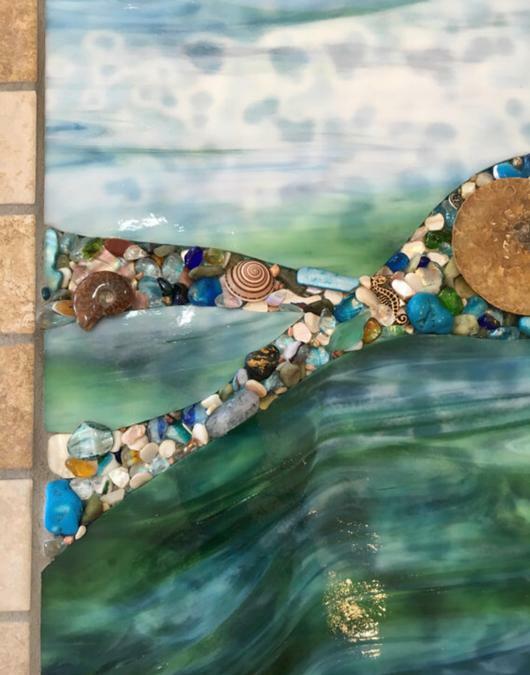 It may remind you of a river, the ocean bed, or you may see something entirely different in it and that is it's real beauty.